What is the Games Master Challenge? 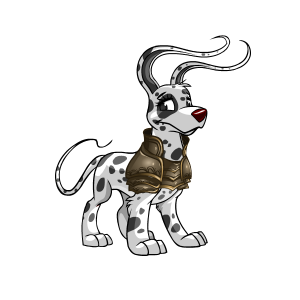 Every year in November a Blumaroo named Aristotle A. Avinroo (better known as Aaa) gives out game challenges to Neopians. The first time he has done so was in November 2006. On this page you can see all challenges, prizes and qualifying games. You will also see some tips on how to play the challenges and beat them. Click here to go to Games Master Challenge. If you want to practice, SunnyNeo's Games Room lists all GMC and Daily Dare scores from previous years. This will give you an idea of which score you'll need to get to beat AAA. AAA has decided this year's tournament will be Knights vs Raiders. He has enlisted Brynn to be captain of The Knights and Hanso is the captain of The Raiders. For more information about this year's GMC, jump down to the Help Questions and Answers section. The Games Master Challenge has ended! Team Knights has won! Below are the trophies and prizes awarded for each team. You will receive a welcome gift for joining a team. Send a score in 50 different qualifying games. Reach a score of 300 or greater playing Shenkuu Warrior. If possible aim for platforms straight above you instead of those off to the sides. The farther a platform away the higher it will catapult you up, though sometimes you will want to make use of those very close to you to get yourself into a better position with just little jumps. Reach a score of 250 or greater in Evil Fuzzles from Beyond the Stars. Be sure to get the multiplier after about 10 hits, especially in the starting levels. Get as many gun upgrades as you can afford, you will be able to kill the fuzzles faster. Don't forget to buy shields and hull repair for your ship when its damaged. The Juice Better be Perfect! Send a minimum score of 750 or greater playing Meepit Juice Break. The game code meepits gives you an extra life. One use per game. The game code juice-o-matic restores time meters to full. One use per game. You get more points when the juice is the same color as the Meepit. Meepits have a weird sense of colours. To get Pink Juppie juice for the pink Meepit, combine all the three colours (red, blue and yellow). To to put pipes with a fruit in your connection. The red fruit will give you 10 points, the blue one 25. Rotten apples will take of 10 points of your score. Try to avoid those. At the end of a level, when you've only have one Meepit left to feed, connect the pipes of both two Meepits, so you'll be feeding two instead of one. This will give you extra points. Connecting all pipes at once will give you bonus points. This can be done the easiest on the first level. If you have 2 or more meepits of the same colour, join them together to save time and earn more points. If you are running low on time, join the Meepits together, even if they have different colours! In the higher levels don't be too bothered with getting the colour right, especially for the mixed Meepits. You simply won't have time. Try connecting the pipes starting from the meepit(s) instead of from the flow. Reach a score of 2,500 or greater playing Eye of the Storm. By clicking the tiles, you will find clues that the crew members are giving you. The crew members will be pointing the way. You must use their clues to find the ship. Reach a score of 40 or greater playing Rink Runner. Try to get at least one note with every jump. If you use more than 30 moves per level the judges will deduct points. Longer jumps increase the likelihood of catching several notes at once. You can jump over the water puddles, but do not land in them or the game will end. Do not worry about the 'sharps' and 'flats'. Don't try to collect them, but you don't have to avoid them either, they will not influence your score. Reach a score of 500 or greater playing Itchy Invasion. The game code pest restores your Pest-B-Gone to full. One use per game. Pay close attention to the red warning that will flash on the screen when your Pest-B-Gone is almost empty- if you run out of Pest-B-Gone, your game is over. Try to shoot all the petpetpets (P3s.) It will give you a bigger bonus when the level is over if you shoot them all. If you don't have time to shoot all the P3s and have to choose, try to shoot the ones with higher point values. The green robotic P3 restores your Pest-B-Gone to full, and the pink robotic P3 destroys all the P3s on the screen. Both of these are very important and you must shoot them any time you see one. Send a minimum score of 400 or greater playing Freaky Factory. Try to fill up all the vats no matter which colour you need next, it will improve your chances at the bonus for consecutive plushies. 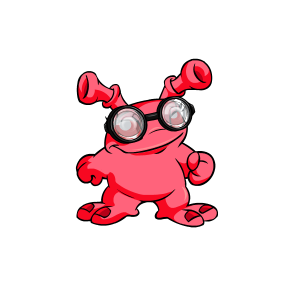 Keep the Grundo from stealing your plushies by clicking on him. Do your best to aim the paint blobs, overfilling vats and splashing are your enemies. Click the soap blob when needed to clean up your waste. The Angel blob fills up whichever vat it lands in, so aim carefully. The Glowing blob upgrades all the plushies on the belt, this is a very good thing. The Clock blob adds time, this is good. The multicoloured blob with electrons around it will fill all your vats, don't worry about aiming for this one. When starting the game, try filling up the two vats you don't need for the first plushie before you fill up the needed colour. Once in a while, a paint blob with an angry face might appear. Don't click on this one, since it will only make your dirt meter go up. Reach a score of 240 or greater playing The Great Desert Race. It does not matter who reaches the goal first, the points you are receicing in game is what count for your score. The strategy to reach a high score in this game is to place one character one space in front of the goal and keep circling around to the tug-o-war square with the other character. To do this you will need hit the sandstrom tile close to the finish line with your second character. If you roll too high a number select your first character in front of your goal. Reach a score of 500 or greater playing Mutant Graveyard of Doom II and a score of 750 or better playing Moon Rock Rampage. Use the code to gain extra time and just stay in a level killing enemies until your time is about to run out, then quickly collect the last item and move on. Send a minimum score of 550 or greater playing Neverending Boss Battle. Use the code foreverandeverandever to get an extra life. Try to move behind your enemy and and shoot him while using 7 & 9 on your NumPad to strife up and down slightly, to keep him swaying back and forth instead of turning completel around. Post a score of 1,000 or higher playing Top Chop. Hit the space bar in order to make the moving black line stop in the green area, preferably directly in the middle over the white line. If you stop it directly over the white line, you'll get bonus points. If you stop it directly over the white line a few times in a row, you'll get a power up. In the first three levels, the black line will move progressively faster with each level. If you seem to be too slow for the faster levels, hit the space bar a little before you think you have to. In the next four levels, the black line will move erratically, speeding up and then slowing down, and sometimes stopping completely. Try to wait until the line is moving slower before you try to hit it. Just be careful not to wait too long- there is a time limit. During the rest of the levels, the green area and the black line both move; however, you should be able to get AAA's score without beating any of these levels. If you want to try to beat the levels, it's best to try to stop the line when both it and the green area are near the top or the bottom of the meter. Sometimes a Moffit will jump across your board. You can't hit your board during this time. However, you won't be penalised in any way if you attempt to hit the board while the Moffit is jumping across it, so you really don't have to bother worrying about this. If you're lucky enough to get a power up, save it for the tougher levels; you can choose when to use it by clicking on it. Send a minimum score of 1,000 or higher playing Attack of the Gummy Dice. The game code explode turns your dice into the bomb dice. One use per game. The game code delightful turns your dice into the morph dice. One use per game. The game code gummydice turns your dice into another colour. One use per game. Clear as many dice as possible in each level, as you lose points at the end of each level based on how many dice you have left. Once you get 1,000+ points, click quit the game. Do not try to keep playing by going to the next level, as you will lose points if you still have dice left on the playing surface, and that might bring you back under 1,000! For at least the first 7-9 levels, try to destroy the columns from the bottom up. When you get to the later levels, focus on taking out the highest columns of dice first. Have plenty of time to play the game. It takes a long time, and the dice start to appear very fast in the later levels. The game codes really aren't that helpful, especially once the dice start appearing faster. Use them on the easier levels at the end to get rid of as many remaining dice as possible. Send scores in five different Action qualifying games. Reach a score of 7,000 or greater playing Slorgs in Space and a score of 700 or better playing Lost in Space Fungus. Try to set up chains of Slorg combos. Example: Red Red Purple Purple Green * Green Purple Red. Place a Green at the * and the Purple and Red Slorgs will also be cleared. Each combo cleared at one shot will increase your score multiplier. There are six levels to the game, so you may want to go slowly in the lower levels to build your score. You are allowed to make the circles go through the walls and astroids. When you hit the walls or astroids you will simply bounce off them and go in the other direction. Don't try getting all the bonus items. It is more likely that you will lose by running out of circles. Only get them if they're on your path anyway. Since each level is the same, practice each level until you can beat it in one try, then restart and cruise through it. Reach a score of 90 or greater playing Extreme Herder. Learn to change direction fast and put the petpets in the paddock right away. The snowflake will freeze Balthazar for a short period of time- it's very useful, so pick it up when you can. The game code freeze will freeze Balthazar temporarily. One use per game. The orange orb speeds up Samrin, but don't bother with it- it's not very useful and just makes Samrin harder to control. Collect the petpets nearest to Balthazar first so that he doesn't eat them. 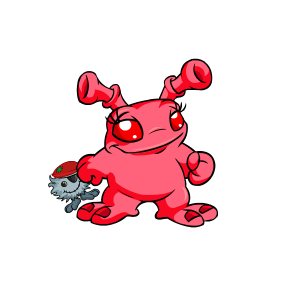 If there are several petpets near Balthazar, carry one a short distance away, use the space bar to drop it, and then go back and collect the other petpets that are near Balthazar. Put the last petpet of the level in the paddock from the left side, so you can start the next level near Balthazar and quickly get to the petpets on that side first. You can use petpets to lure Balthazar around by dropping them in strategic places. Send scores in five different qualifying games from Faerieland. Send a minimum score of 1100 or higher playing Biscuit Brigade: Hagan's Last Stand . recon - Displays enemy walking grids. Multiple use per game. removedebris - Removes debris (rubble). One use per game. You can pause the game anytime by hitting the space bar! Send a minimum score of 200 or higher playing Skies Over Meridell. At the beginning, make sure you press your right arrow key to fly up and not crash into the barn! Try to sty behind the enemy plane. Collect the power ups for extra points! Send scores in five different qualifying games from Terror Mountain. These Are A Few of My Favourite Games! Add five qualifying games to your Favourites List. Tip: Click here to learn how to add a game to your Favourites list. What's White, Furry and Eats Ice? Send a minimum score of 3000 or higher playing Snowmuncher. Reach a score of 12,000 or greater playing Kookia. Play in Hard mode to gain more points. You need to collect at least three Ghost Kookiths to unlock the bonus round. Once you've unlocked it, ignore them unless they're easy to collect. You will earn more points for each Kookith collected if you collect them in "chains". Try to position your mouse in front of a chain to grab them in a row quickly. If you wait a second before collecting the first group of Kookiths, you can string the second group on to the same chain for more points. When the meter fills up, you can press the space bar to slow down the Kookiths. This also works in the bonus rounds. The Kookiths appear in the same order each time for a scene, but the scenes are random. Reach a score of 60 or greater in Petpet Cannonball. 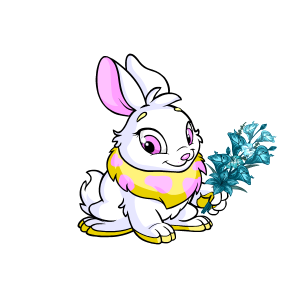 Snowbunny and Angelpuss are the heaviest petpets. They'll give out the most points. Buzzer and Slorg give out the least points. If you've got enough tries left, you might want to miss with the Buzzer and Slorg (and possibly Babaa) on purpose. In that way, you'll get more points for a shot. Don't do this if you've less than three tries left. To aim, draw an mental line between the cannon and the bucket to calculate the angle. Don't use too much power to fire. Keep the power around half. Keep an eye on when you level up (a message will appear). You might need to change the angle you're aiming for slightly when you've gone up a level. Send a minimum score of 200 or greater playing Nimmo's Pond. Do not move around on your lilly pad. Stick to your starting position and only rotate, using your left and right arrow keys. Fire like crazy by pressing space over and over. Try and aim for the lilly pads though, don't just fire around. When a lilly pad gets dangerously close to you, use the B key to throw a bomb, it will then dissolve into tinier ones. Use the V key to grab the powerups with your tongue. You'll want to level up your shooter. The best powerups for this are the yellow ones, as they will give you three bullets at once. If you don't have any yellow powerups, go for green or orange. 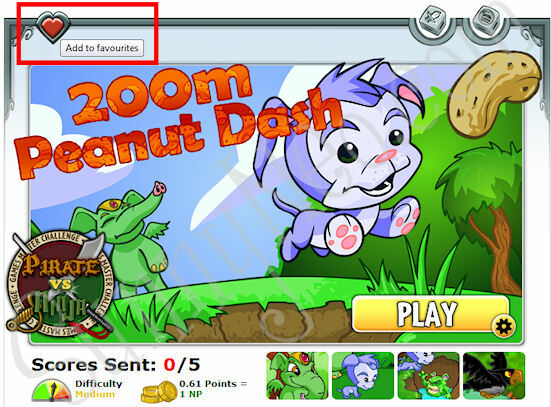 Reach a score of 200 or greater playing Extreme Faerie Cloud Racers. If you have trouble playing the game while watching the main game screen, try to focus on the small map inset in the lower left corner. In this game, the paths disappear after a little while, so you can fly around in circles and wait for the other faeries to crash into each other. Collect the powerups if possible. Reach a score of 2,700 or greater playing Goparokko. Play the game on the easiest mode. It may reward less points than hard, but unless you're an expert at the game it's much easier to get to 2,700 on this mode. Slow and steady wins the race. Reach a score of 1500 or greater playing The Great Qasalan Caper. The game code caperiffic gives you 20 seconds extra. Send a minimum score of 50 or greater playing Ultimate Bullseye II. Check out our Ultimate Bullseye II Game Guide! The game code catapult gives you a random powerup. One use per game. If you hit the bullseye with your last arrow, you'll get three more shoots. This only happens once, if you hit another bullseye with the last or your three extra shots, you won't get three other extra shoots. Hitting the apple with the Meridell balloon will reward you 50 points. Practice playing without moving the position of your catapult at all. Ideally, all you have to worry about is the speed at which you fire. The only exception to this is if you get a balloon that is higher than what you could hit no matter what your speed is set at. If you get a fair amount of bullseyes, save one inverted target powerup for your last try, as if you get another bullseye on it you will be allowed to keep going. Don't bother using the moving target or growing and shrinking target powerups unless you know what you are doing. If you're not used to them, they are simply a guaranteed miss or low scoring hit. Unless you are uncannily good at shooting bullseyes, always go for the balloons when they appear, even if it means missing the target just to hit them. They are easy to hit, and they are therefore a free five points to your score. Send scores in five different Puzzle qualifying games. Post a score of 90 or higher playing Zurroball. If you can find a good center position on the ball you will be able to keep it afloat for a long time with just small clicks and without having to move your mouse at all. Send a minimum score of 1,500 or higher playing Pterattack. Reach a score of 1,500 or greater playing Darigan Dodgeball. Aside from running into the spiked balls, running into the walls will also kill you, so try not to get too close to the walls. Click on your character to start moving it around with the mouse. Once you've clicked on your character, you can't let up on the mouse button, or your game will be over. The spike balls always start out heading the same direction. The smallest ball travels down and to the left, the grey ball that's really weird goes down and to the right. The purple ball with blue spikes goes up and to the left, while the large grey goes up and to the right. This may help you plan your first few seconds of the game. Thanks for this tip to millionare_wana_be. There's not really much strategy to this game. Just avoid the spiked balls and walls as long as you can, and try not to get cornered. For slow computer's, if the game is lagging too much, it might suddenly end after 5 or 10 seconds. If you have this problem, play on smallest size and lowest quality to avoid it. You get 100 points for every second. So for a score of 1500 you need to at a time of at least 15.00 seconds! When the game ends, make sure to keep holding down your mouse button until you know that you are not anywhere near the 'Send Score' button or your score might be send automatically! Reach a score of 15,000 or greater playing Snot Splatter. Click on a full bubble that is next to other full bubbles to start a chain reaction. You can also start a chain reaction by using the 2x powerup on an almost-full bubble that is next to full bubbles. Your splatters will stop if they run into flat walls, but they'll bounce off and keep going when they run into diagonal walls. If you clear between 20-29 snot blobs at the same time, you get an x2 power up. On level one, clear between 20-29 blobs in your first shot, and then do the same in your second shot, so that you've got two x2 power ups by the end of level 1. If you don't accomplish this, start over. On levels 2 and 3, build up an area of snot blobs that are totally full. Then go around building up snot blobs that are small, and putting extra snot blobs in empty spaces. When you've only got one drop of snot left, choose the x2 powerup, and use it in the middle of several full blobs. Repeat this process for level 3. From level 4 onwards, use your snot drops to pump up the small blobs until you've got one snot left, and then choose the double blob power up and start a chain reaction in the middle of several large blobs of snot. The double blob is earned by clearing 40 or more snot blobs at the same time, so you should have two of them by level 4. Don't bother wasting a double blob power up on level 6, because it's very small and split into two parts. Just try to clear the level. After level 6, go back to the strategy of building up the smaller blobs on the board into bigger blobs and then using the double blob power up when you start your chain reaction. By level 11, things start getting difficult and you just need to try to pass the the level in order to keep going until you get the required score. Now is the time to start using power ups such as the grid, row, and column (all of which automatically clear a large area of snot.) Also continue building up snot blobs and then using your double blob power up to start a chain reaction. Reach a score of 5,500 or greater playing Piper Panic. Send scores in five different qualifying Haunted Woods games. Watch Out For That Vine! Send a minimum score of 450 or higher playing Jungle Raiders. There is no time limit for this game, so take you time and aim your jumps from vine to vine well and collect all the treasure! Don't worry too much about taking damage, it is much more important to not fall down. When you encounter Quetzals slithering on a vine, try to aim for the top of the vine and stomp them from above. For the challenges you can play quite a few different flash games. Below you can see the list of all games that qualify. For each challenge there are certain requirements that you must meet to beat the challenge, as you can see in the table further up the page. Although challenges are given out daily, you may complete them at any time before the challenge's deadline, which this year is November 30th. For each challenge you complete you are eligible to receive a prize. Once you complete a challenge the little gray gift box will turn into a red or blue gift box, depending on your team. Then you must click on it, a pop up will open and tell you the prize you have been awarded. The challenges revolve around a group of selected qualifying games. Each year the list of games changes and is expanded. The odd number of games is due to the addition of several sponsor games. For some challenges, people from the USA will play a sponsor game whereas non-USA people will have a different, non-sponsor game. This year there are 5 types of challenges. Game Game Challenge: Complete the required game with a score equal or higher than the score needed. Random Random Challenge: This Challenge could be anything. From picking your favourite games to beating a certain score, it's always a surprise! Mystery Mystery Challenge: Send the challenged score in unknown game. Send Score Send Score Challenge: Send the challenged score in the suggested game to complete.
? Unknown Challenge: These are the challenges for upcoming days. They do not show until that day of the challenge has begun. Timed Timed Challenge: Complete the required game with the challenged score within the time limit. 1) Is AAA involved in this year's GMC? AAA is back and ready to watch two well-known Neopians duke it out again this year. AAA has recruited the help of Hanso and Brynn to serve as the team captains in this year's Games Master Challenge and settle once for all which is better, knights, or raiders. Both are prepared to lead their respective teams in a week-long competition and see whose squad has the better gamers. 2) What is the difference between Team Knights and Team Raiders? While there is some overlap in the challenges that the teams will receive, generally speaking, a lot of the games will be based specifically on the challengers. 4) Once I have selected my team, can I change it later? No. Once you have selected your team, you are locked in for the duration of the event. 5) How do I help my team? You can earn points for your team by participating in the challenges. 6) Does each team have the same number of challenges? Yes. No matter which team you select, the level of participation required is exactly the same. 7) Are there different lists of qualifying games for each team? No, the list of qualifying games is the same for both teams. This is a complete list that includes all of the qualifying games for both teams. 8) What is the meter? The meter keeps track of which team is winning. At the end of the event, participants on the winning team will receive a prize. 9) How do timed challenges work? There are a few challenges during the GMC that will be timed. Once a challenge timer has been activated, you will have 12 hours to complete that challenge. If you do not complete the challenge in the time given, you will not receive credit or a prize for that challenge. 10) What do the check marks mean on the Progress page? When you complete a challenge on the day it is released, a gold checkmark will appear over the challenge icon. If you complete a challenge on a day other than the day it was released, then the check mark will be green. 11) Do I have to complete each challenge on the day it is released? Completing each challenge on the day it is released will earn you better prizes at the end of the event. However, it will not affect the daily prizes you receive or your team's performance. 12) When does the Games Master Challenge start and end? The Games Master Challenge will begin at midnight (NST) on November 23rd. Day 1 will last only 24 hours and will end at 11:59:59 pm NST on November 24th. Similarly, days 2-6 will be typical 24 hour days from midnight to 11:59:59 pm. Day 7 will last for two days, from midnight on November 29th to 11:59:59 pm NST on November 30, marking the end of the Games Master Challenge.